If you’ve been following along on Instagram you know I have been working on making this recipe even easier and more delicious. With only one bowl, it has never been easier to make a healthy grab and go breakfast that highlights seasonal produce. 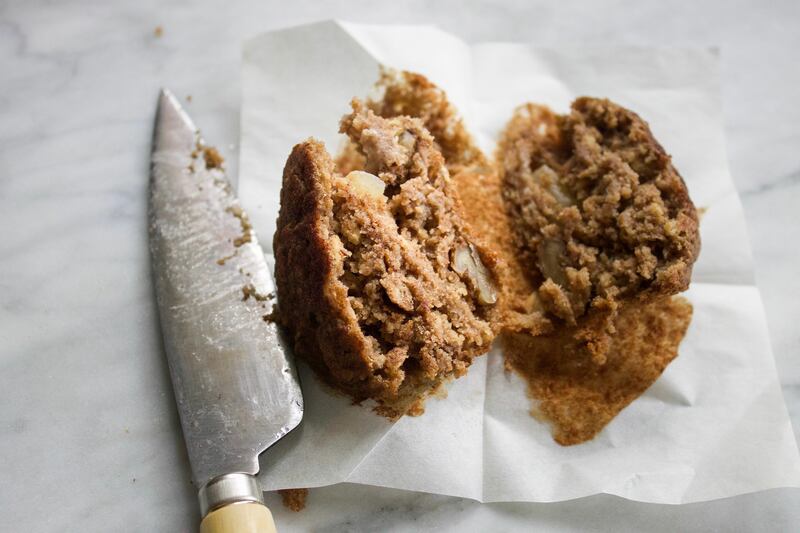 These muffins are packed with oats, chunks of apples and crunchy pieces of walnuts providing making them rich in fibre and nutrients. 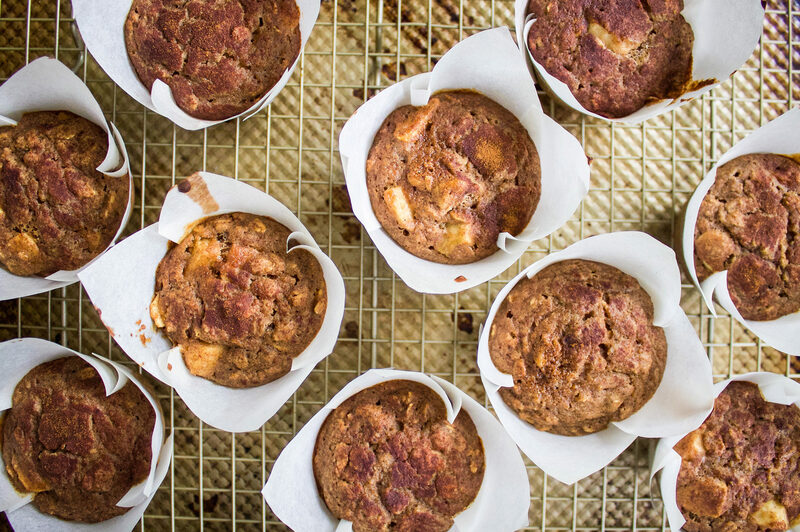 As always these muffins are gluten, dairy, and refined sugar free. 1. Preheat oven to 375 F. Line muffin tins with parchment and grease with coconut oil. 2. In a large bowl whisk applesauce, maple syrup, oil, eggs, almond milk, vanilla, apple cider vinegar, baking soda and baking powder until well combined. 3. Add coconut sugar, cinnamon, salt, oat flour, and oats. Whisk until well combined and no lumps remain. Stir in walnuts and apples. 4. Pour batter evenly into muffin liners (about 2/3 of the way up). Using your fingers, sprinkle the tops with coconut sugar and cinnamon. 5. Bake for about 25-28 minutes or until a toothpick comes out clean. Cool and enjoy! *I like to freeze the batch so I have a great breakfast ready whenever I don’t have time in the morning. Fall is finally here! Well… sorta. It is still quite warm here in Montreal and I am getting impatient as I long for warm sweaters and comfort foods. This recipe is a great ease into the new season as it uses seasonal fruits spiced with fall classics. 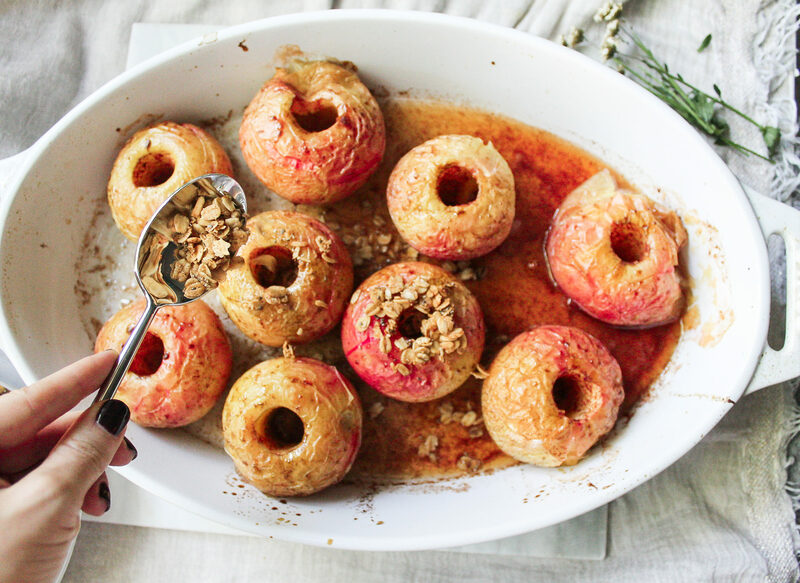 Growing up my mom always made baked apples for dessert. As I was creating a menu for a client this week, I realized how easily this traditional dessert could be a great fall breakfast. 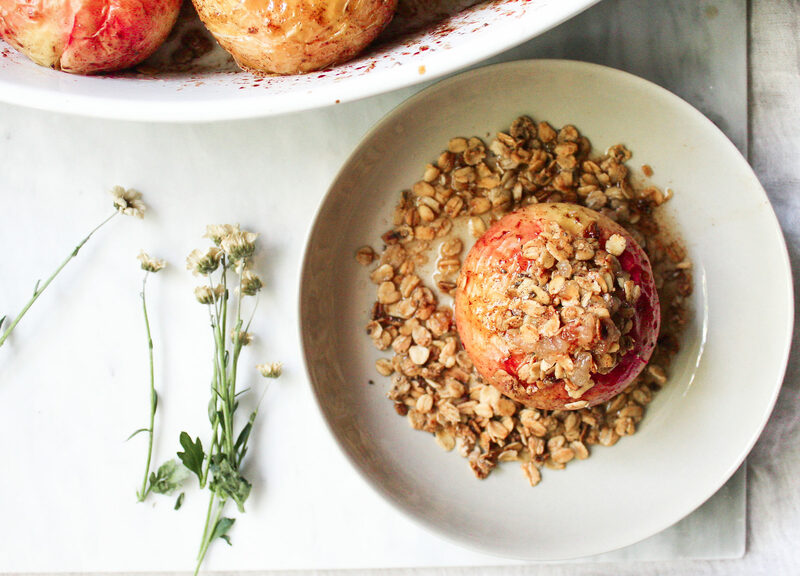 My favourite honey crisp apples are in season and I love incorporating them into all of my recipes. 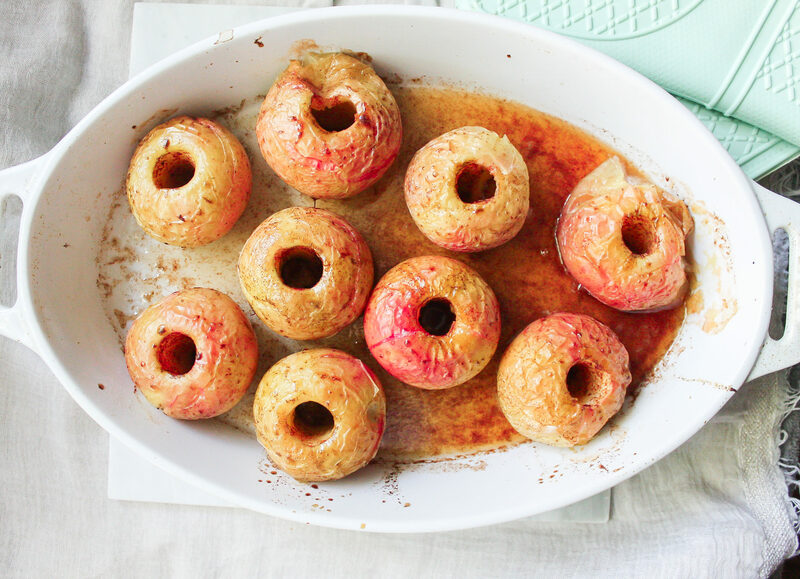 So with only 3 ingredients, you can have the best refined sugar free apples you’ve ever had. 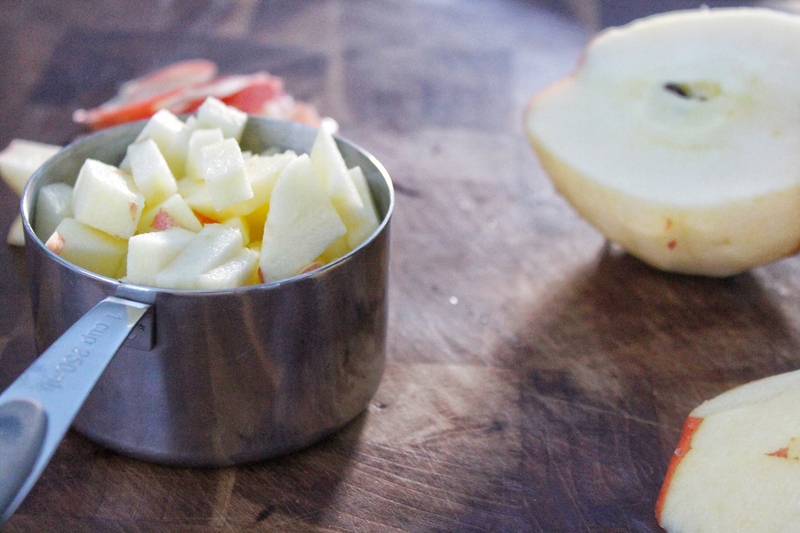 This recipe is for 9 apples so if you want to make less just cut the recipe in half. I will note that these stay amazing in your fridge all week for a super easy grab and go breakfast. With the added granola, they remind me of a apple crumble. Hope you love it. Don’t forget to share your versions of my recipes on Instagram or Facebook! 2. Wash and core your apples and place them in a baking dish. Lightly spray or coat your apples with oil. 3. In a small bowl, mix your cinnamon and maple syrup. Using a brush, coat your apples with the mixture making sure to get on the inside of the apple. Fill your baking dish with boiling water about 1/4 of the way up the apples (about a 1/2 inch). 4. Bake for 45 minutes or until tender. Serve with goddess granola or your granola of your choice and coconut yogurt. Staying on the theme of New Year’s resolutions, I have set out to make 2016 the year of less clutter! I have a bad habit of keeping papers, clothing and ingredients that I feel I may need at another date. However, by the time all the clutter has built up, I can never manage to find the item anyway. A general rule that has been proven time and again is that if you don’t use an item for at most a year, then you probably have no use for it. So in the New Year I plan to clean out my pantry, office and closet to reduce clutter and focus on organization. The same notion holds true in my clean eating philosophy. There is no need to have a 20-ingredient list of items that you don’t understand and most importantly, need. For example, most restaurant and store bought oatmeal and muffins have so many added sugars and artificial flavors. Most of us turn to these packaged items out of convenience. But what if I told you your weekly dose of sugary packaged oatmeal can be replaced by one recipe? 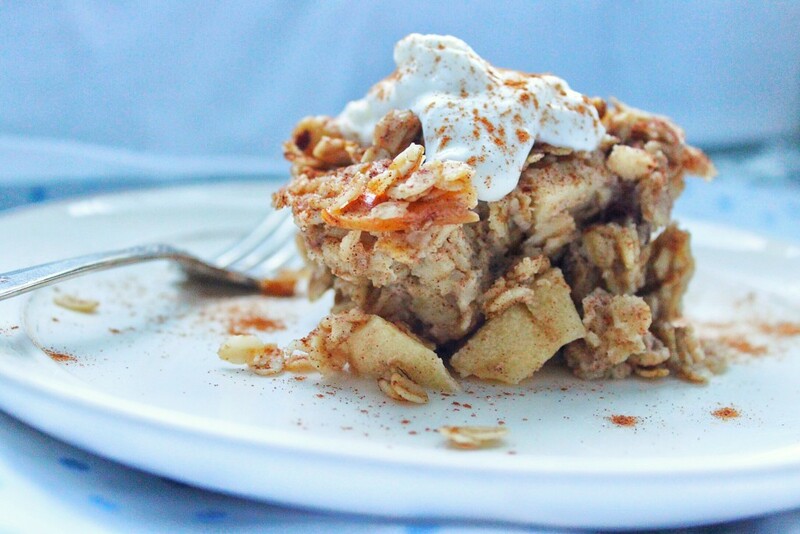 This Baked Apple Crumble Oatmeal is packed with fewer, more wholesome ingredients and can be eaten for breakfast all week long. For an easy grab and go breakfast, portion the baked oatmeal into 5 containers so you have a healthy breakfast ready Monday to Friday. With the help of Truvia Calorie-Free Sweetener, you have all the comfort and sweetness of apple crumble without any added sugar. 2. 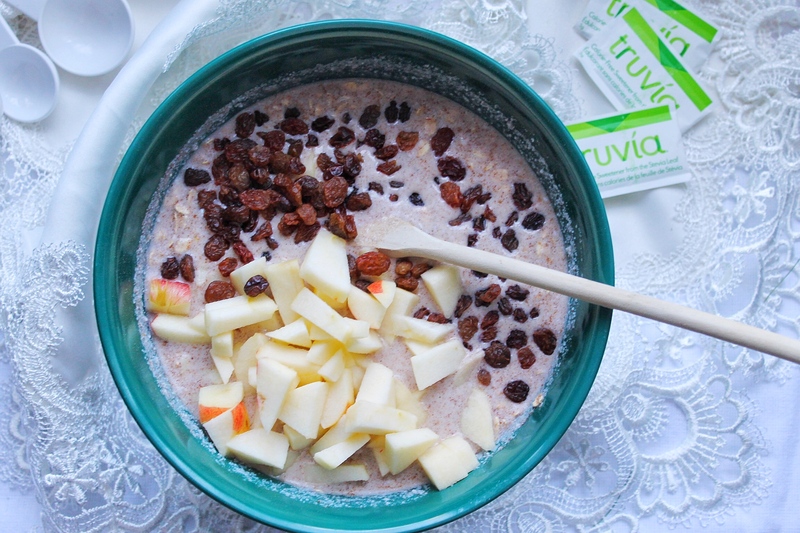 In a medium bowl, mix oats, cinnamon, salt and Truvia Calorie-Free Sweetener. Set aside. 3. In a medium bowl, melt coconut oil. Allow to cool then whisk in coconut milk, almond milk, vanilla and egg. 4. Add dry ingredients to wet and stir. Mix in chopped apples and raisins and pour mixture into baking dish. 5. 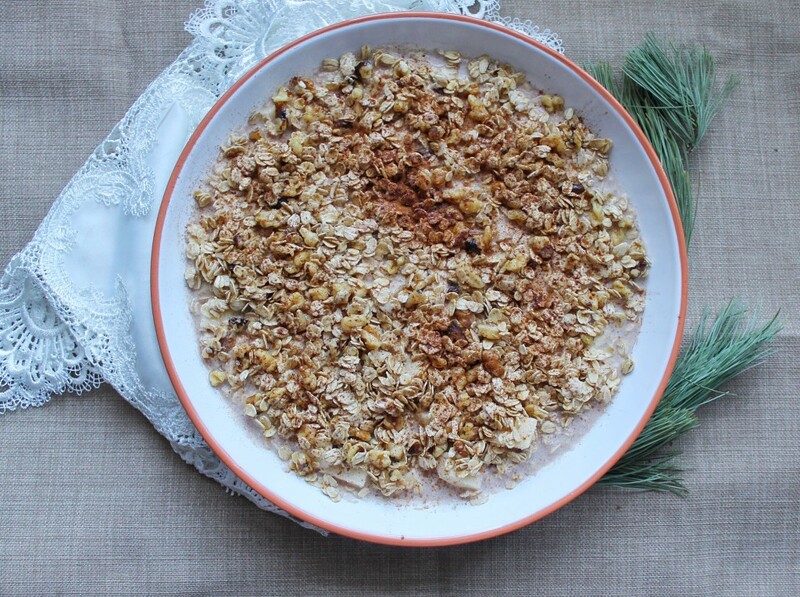 In a small bowl mix all topping ingredients and sprinkle over oatmeal. 6. Bake for 50-55 minutes or until liquid is fully absorbed. 7. 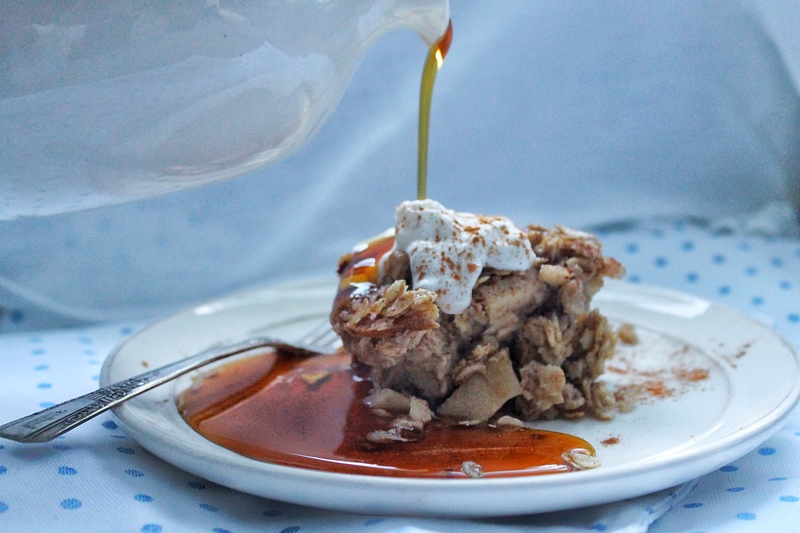 Serve with coconut yogurt and pure maple syrup. 8.Store in an airtight container and refrigerate for up to 1 week.